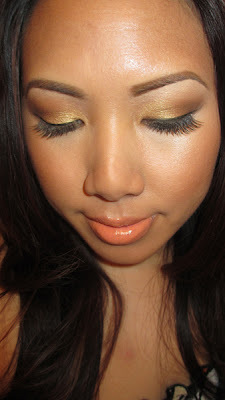 Home Holiday FOTD: Easter Look feat Coral Lips! Sorry for no post yesterday - I was swamped at work and school. TGIF! I'm back with another FOTD. I wanted to share the look I wore for Easter. I really wanted something neutral but with a pop of fun color. I ended up doing an subtle orange on my lips - totally something different for me but I liked it! 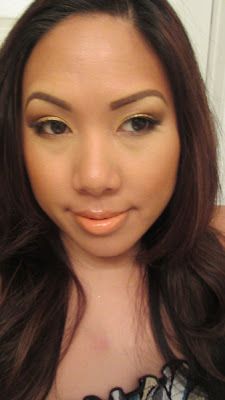 I love using OCC Lip Tars to custom make lip colors. That way I don't need a lipgloss or lipstick in every shade imaginable when I can just create my own. Orange is a huge lip trend but I decided to make it a bit more wearable. 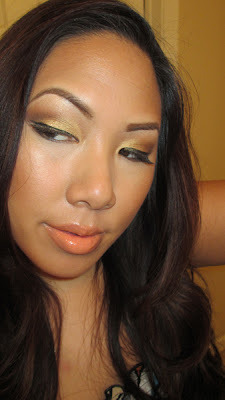 I wore this look for and Easter Potluck and loved it! Hope you guys have a fabulous weekend. Till next time, Ciao Bellas! 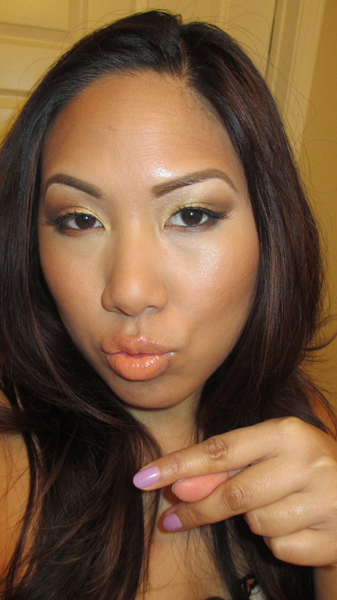 I love the way your lip color turned out! I'm really excited to go to IMATS this year so I can finally get me some OCC lip tar. looks great! - Yuh look like yuh've been kissed by the sun ! I love the entire look! The eyes and your lips are gorgeous ! So is the hair. I know you had a great Easter. love this look! the lip color goes so well!